I made a successful career change in my thirties and got the dream job! My position flying with Air Canada Express allows me to travel all around North America. I’m responsible for the safety of all passengers and representing the Air Canada colours with pride and professionalism. The best part of my job is showing my passion for flying and inspiring future aviators to get involved. I had a reasonably successful 9 years in the banking industry after graduating with a BA (Econ) from UBC Okanagan in 2007. I had a downtown Calgary office job, and that office window looked out at the airport. I couldn’t help but stare out at the airliners that came and went every minute of every day. Tallying dollars and cents just wasn’t giving me a spark. I’d already obtained my Private Pilot License, but in 2016 I decided to build that into a Commercial License and a Flight Instructor endorsement. I hit the books hard between July and November of that year. By the beginning of 2017, I had a full schedule of student pilots under my guidance. I’m not a natural teacher, but I loved sharing my passion with each of my students. After accumulating the minimum experience needed for an interview with the airlines, I applied to the best airlines in the country. A little over 2 years from the day I left my desk, I had the best office view imaginable – this one from 36,000 feet. As I move along my career path, success has become more about what I can contribute to others. My years in the financial world taught me discipline and hard work, but I didn’t have the passion or energy that I now have with this new job. 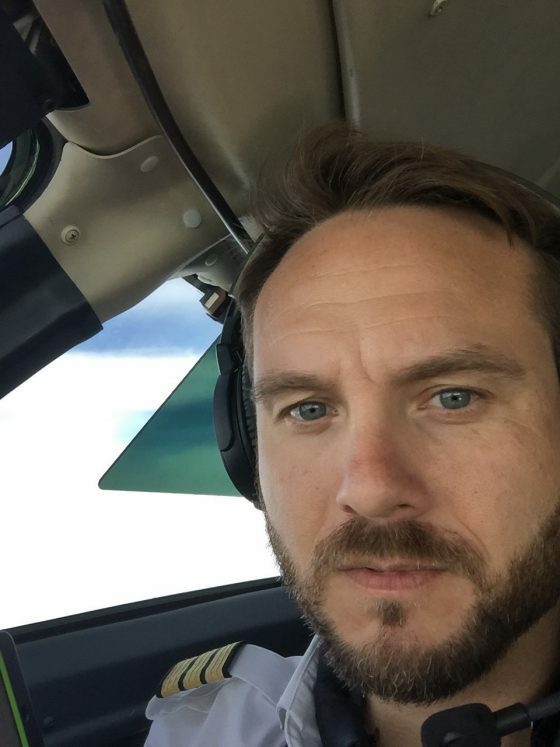 While I had to take a step back in pay, an unfortunately popular measure of success, I’m able to share my passion for flight with anyone who wants to talk about it. Making a career transition can feel daunting. My way of sharing success would be to inspire someone to go for it, no matter how many years remain or how many obstacles lie ahead. If you weren’t in your current professional role, what would you be doing? The two hobbies I could never give up are flying and travelling the world. If I was unable to fly professionally, I’d love to be a travel writer. I find energy and fulfillment in exploring the streets and understanding the people in a far-off place. I love a good travel story, and I hope to be able to fill a book with stories of my own. What are some of the ways you build and nurture your professional network, and how has this benefited your career? Get involved! Find clubs or groups that you’re interested in. Take a language course. Join a book club or a sports team. I’ve been to so many Alumni events and it’s great to meet dozens of people that you have something in common with. That’s an easy conversation starter. Your fellow alumni have a built-in desire to help you out with advice or a contact. As you move along your career path, offer the same to others. What career building advice would you offer your fellow alumni? A career change of this magnitude in my thirties seemed impossible two years ago. I had established a comfortable life in my old job. There wasn’t anything pushing me to expand my abilities in that role. Find that career that you’d do for free. Passion for a dream job is a powerful force. Meet people that are a couple steps ahead of you on that path. Thirty-somethings have attributes that can be leveraged for an undertaking this big. Maybe it’s a social network that’s more established and experienced. You might have built up your own financial resources to withstand the coming obstacles. For others, it’s the maturity and grit that have come with achieving career goals for the past decade or so. Whatever that edge is, it’s yours to use.